This book consists of a few short stories mostly about climate change and the effects it will have on the future. The book also contains a collection of poems after each short story. I enjoyed the poetry in this book very much. This book was a quick and easy read. The short stories didn't really take my fancy, I felt maybe if one of the short stories had been taken and made longer, alongside the poetry then the book would have worked a lot better. However, like I said I really enjoyed the poetry, I found the poems to be really thought-provoking and very interesting and me for it is the poems that made this book worth reading. 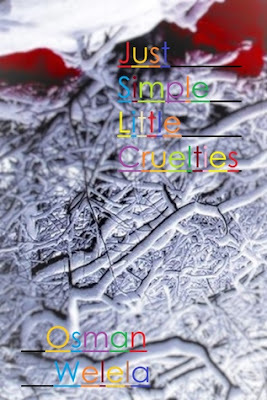 Thanks for your review of Just Simple Little Cruelties. I got my own copy because of it and enjoyed the book very much!